The Girl Scout Silver Award is the highest award a Girl Scout Cadette in Middle School, grades 6-8, can earn. It requires that she address a root cause of an issue that she's interested in, has an impact outside of the Girl Scout community, and is sustainable. The project requires pre-approval by the Girls' Troop Advisor. It is suggested that she spends a minimum of 50 hours on the project. 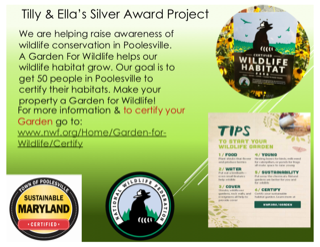 A Silver Award can be completed as an individual, or in a small group of two to four people total. 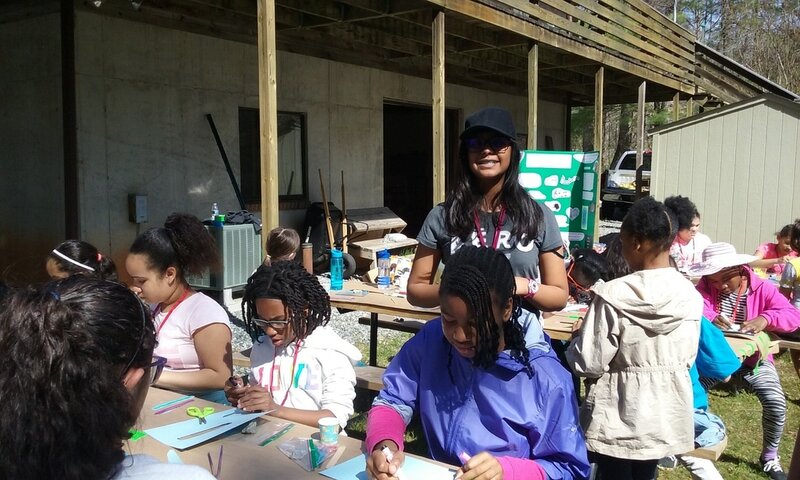 If done in a small group, each of the girls must be responsible for one specific piece of the project, and each must spend the full 50 hours on her portion of the project. 2012 Sophia Mense Can You Hear Me Now? 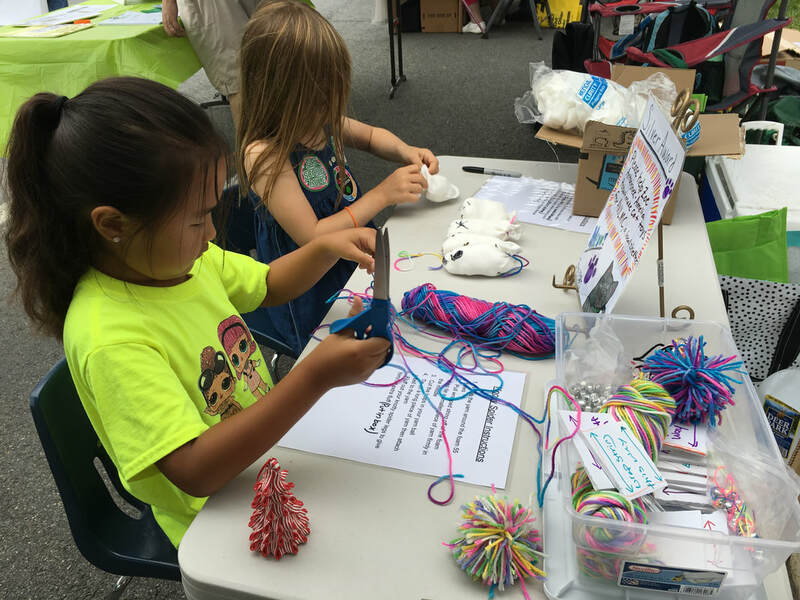 Zoe Antonishek and Amelia Hobart set up a display at Poolesville Day seeking help in making cat toys for the shelter. Cassie Fielder and Maggie Rose Rook collected pet food and supply donations for delivery to the Montgomery Animal Services and Adoption Center. 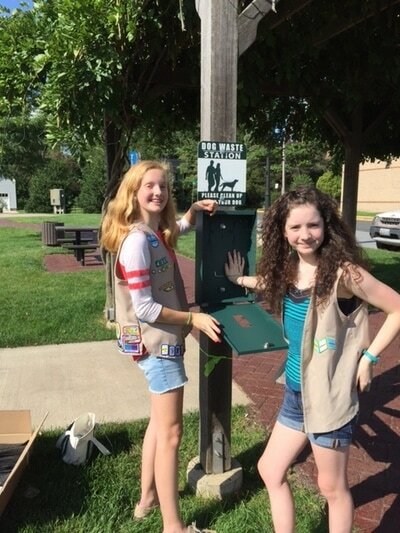 They provided information and education about animal abandonment and adoption to the community through informational signs and their troop through a video presentation. 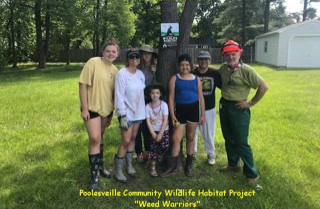 Tilly Gaughan and Ella Franklin recruited members of the community to get their properties certified as a Wildlife Habitat. With the recent clearing of large areas of habitat for development, they wanted to provide safe places for animals to feed, live and, in some cases, raise their young. They helped nearly 100 people get certified. 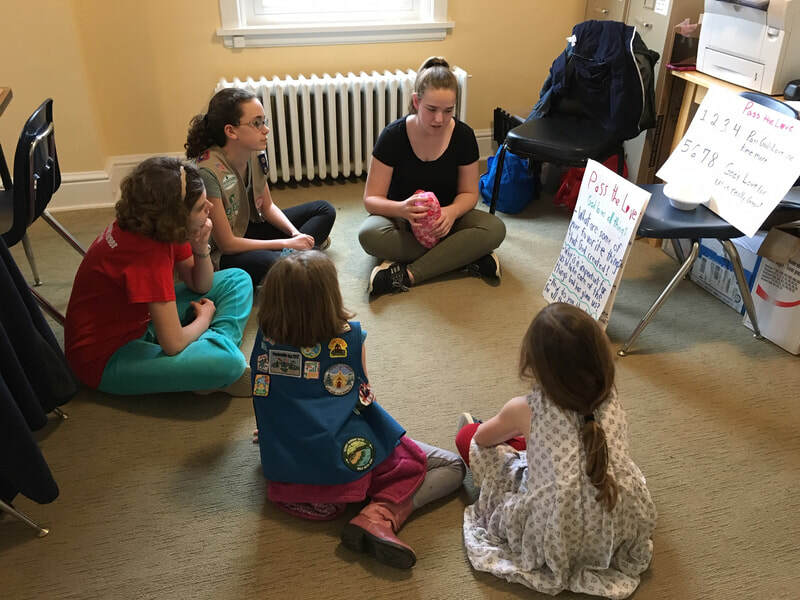 "'God is Love' Project in a Box"
Rosie Ballmann, Tessa Brizhik and Perrin Chalk designed, developed and assembled materials for a ‘program in a box’ filled with activities for young girls to explore their relationship with God. 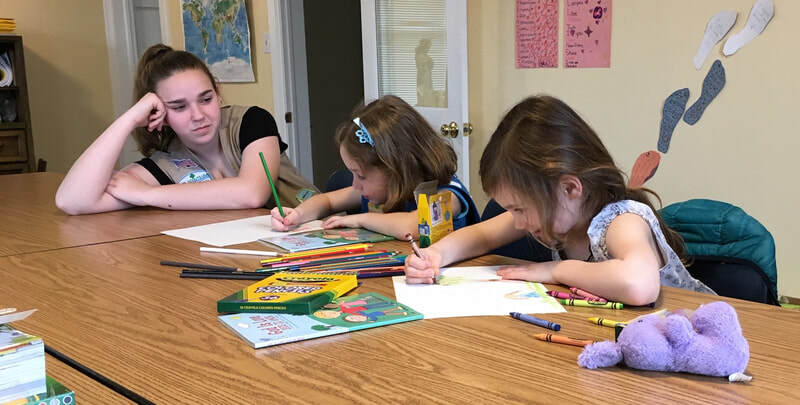 Using the National Federation for Catholic Youth Ministry’s “God is Love” book, they designed learning activities to help kindergarten and first graders engage with the text. They evaluated their preliminary plans with an instructional design specialist and representatives from the target audience. They debated the benefits and challenges of various learning objectives and activity designs. 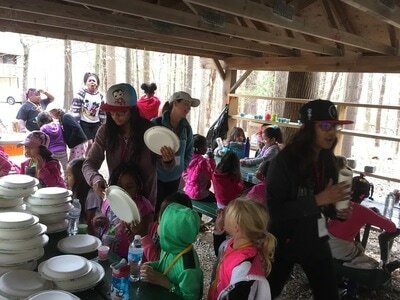 ​They designed a skit, games, craft projects and discussion circles to engage young learners in a three part learning program. (God Loves All Things, God Loves Me, I Love God). 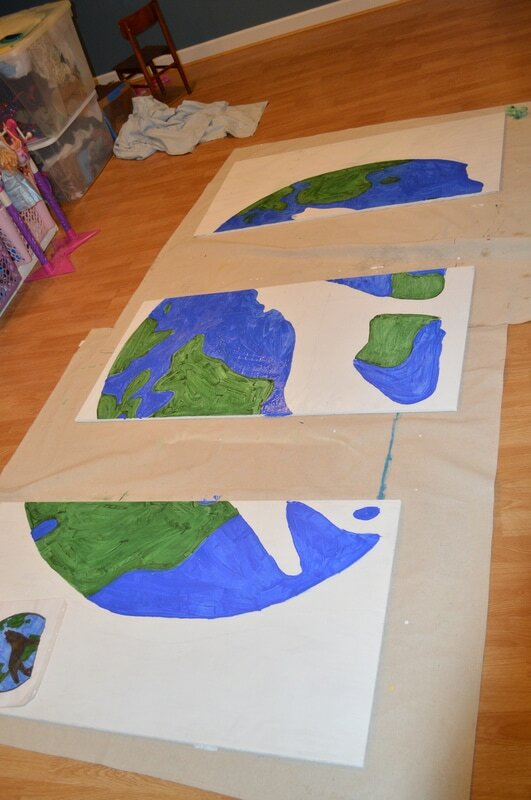 They developed visual aids, resources and props. They interviewed parents and teachers about learning preferences and favorite activities for kindergarten and first grade learners. 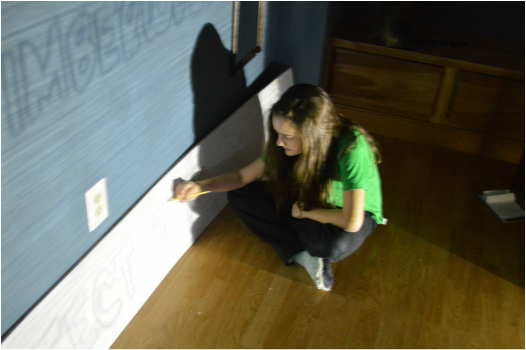 Based on their interviews they adjusted plans and materials. They piloted the program materials at a workshop at Saint Mary’s in Barnesville. 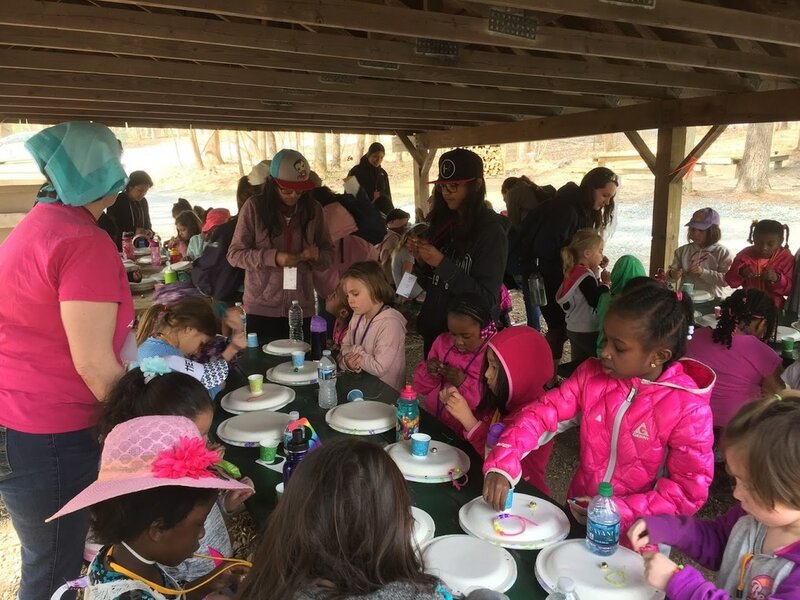 The program box was turned over to the Archdiocese of Washington Catholic Committee Girl Scouts for groups to borrow and use. Aria Grimsby designed and built a buddy bench. When a child feels the need for a friend to talk to, he or she can show this by using the friendship bench. Other children and staff will recognize this as a sign that some help, support or comfort is needed and will come to talk with the child. The bench was placed in the playground at Monocacy Elementary School. She made it out of wood with a friendship quote "Friends accept you the way you are" on the backrest. This project created friendship and stops the loneliness on playground. 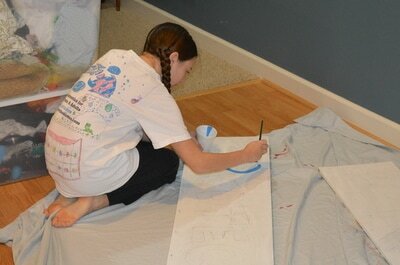 Grace Parker made cat covers for cats in cages, on a capture-spay/neuter-release project. 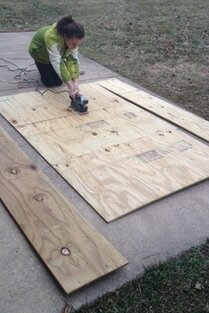 She also made a feeding station for feral cats. This project should help reduce the feral cat population in the area in a humane and subtle way. 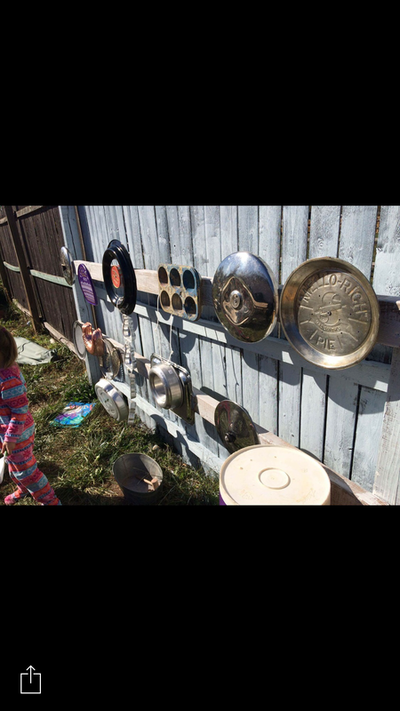 "Music Walls at Community Day Care Centers"
Sienna Grimsby, eighth grader at John Poole Middle School with Trooop 4300, created a total of four outdoor music walls at two day centers in the Poolesville Community. For the walls Sienna reused metal items such as baking pans, pots and tools. 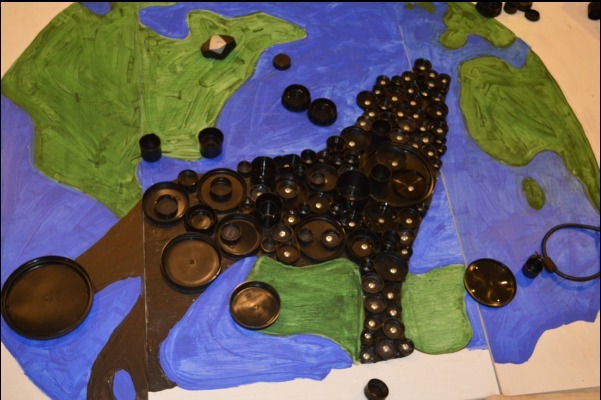 All four walls incorporated items that were being thrown out in addition to PVC pipe to add a different sound. The goal was to mount materials that made a good sound when hit by various ‘drum sticks’. 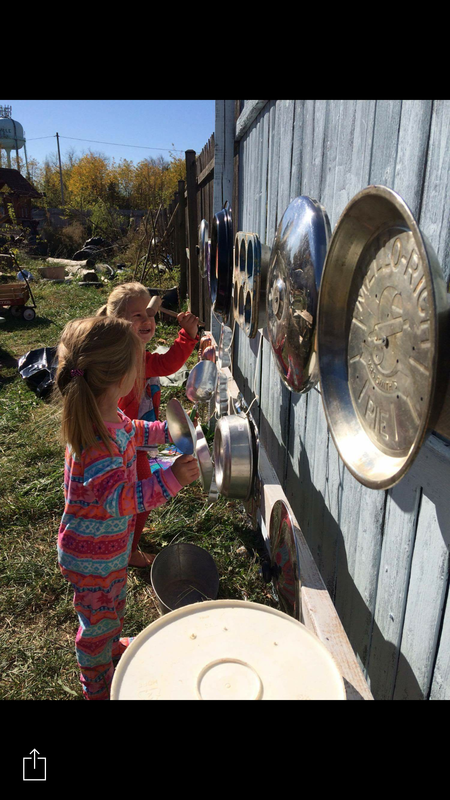 The children who use the walls not only learn about music, they also learn about recycling. Erin Dower and Lia Widenhofer, two sixth grade Poolesville Girl Scouts, Troop 3032, led a service project on January 16, 2017 as part of the MLK National Day of Service. They hosted one of twenty projects offered at the Gaithersburg volunteer site. ​The project benefited kids entering foster care in the greater Washington, D.C.- area. 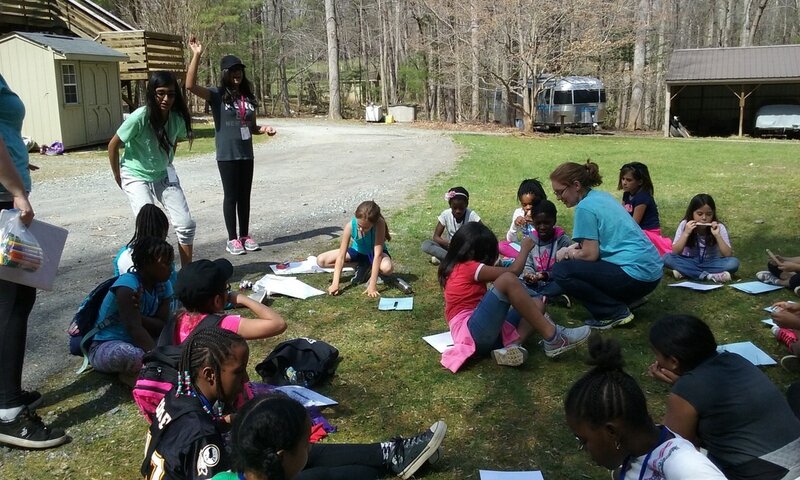 There are currently approximately five thousand children in the state of Maryland living away from their families. When these children leave their homes, they often go with nothing more than the clothes on their back. If they are fortunate enough to gather a few belongings, those things are often carried into their foster home in a black trash bag. In order to promote dignity for these children, Lia and Erin organized and supervised about one hundred community volunteers to make fifty no-sew fleece blankets. 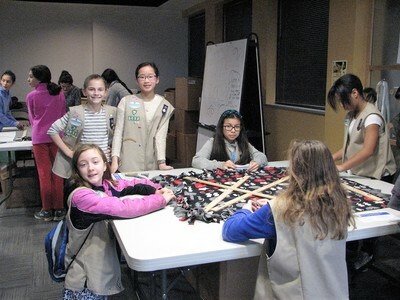 The girls also made a video to educate the more than a hundred participants involved in the blanket making about the extent and challenges of foster care in this country. They added the blankets to duffle bags along with pajamas, stuffed animals, dental and hygiene kits, a book, and journal or coloring book. 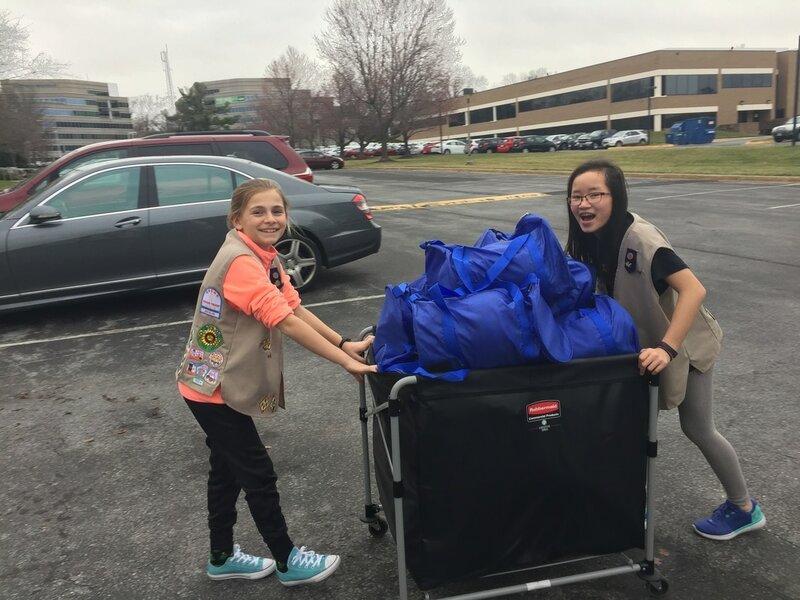 Most of the supplies for the duffle bags were generously donated through a supply drive held by the girls in the early weeks of January. 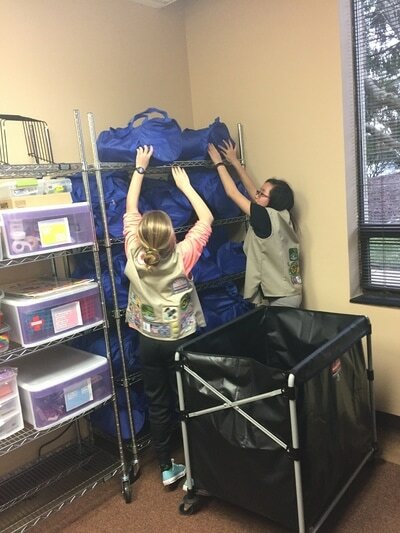 They gave the duffle bags to Comfort Cases, a local organization that works to provide children with the essentials that they need on their journey to a new home. "Music is the Medicine of Mind"
Raenya and Shreya ran a station for kindergarten and elementary school aged girls at an outreach camp. 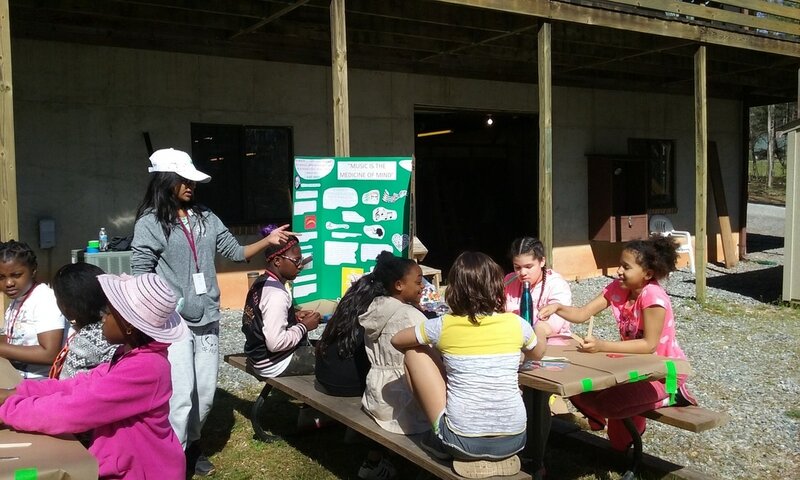 They shared the benefits of music and helped the campers create musical instruments using household and recycled materials. The project addressed the issue of some children not being introduced to music and its benefits at an early age. Research shows that children that participate in music have better learning ability and positive attitude towards life. 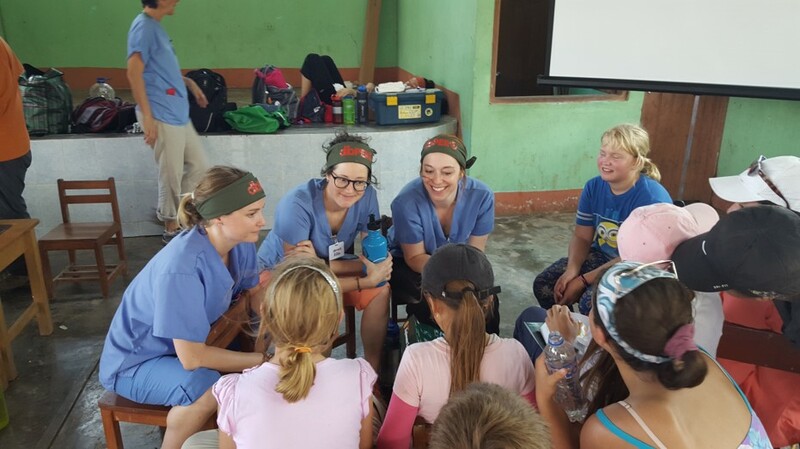 In isolated villages along the Amazon River, many people have never seen or used a toothbrush or toothpaste, or seen a dentist. 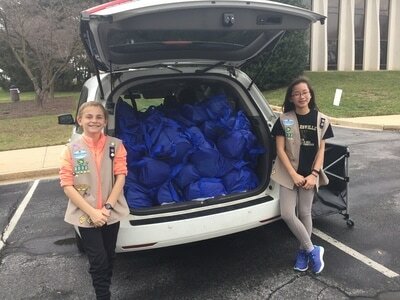 Caroline and her USA Girl Scouts Overseas troop collected toothbrushes, paste and first aid items from several troops in the US, the Peru Scouts, dentists in the US, our school and the US Embassy in Lima. Over 10 months, they made collections of hundreds of toothbrushes, etc. While they were collecting items, they learned about the limited medical and dental resources available to people living along the river. They also were able to assist the nurses with documentation as they took vital signs and gave vaccines. Finally, they made first aid kits for each family in the 3 villages. ​The girls created and ran a one day seminar at John Poole Middle School on the Chesapeake Bay waters, current problems and how to protect and prevent future problems. 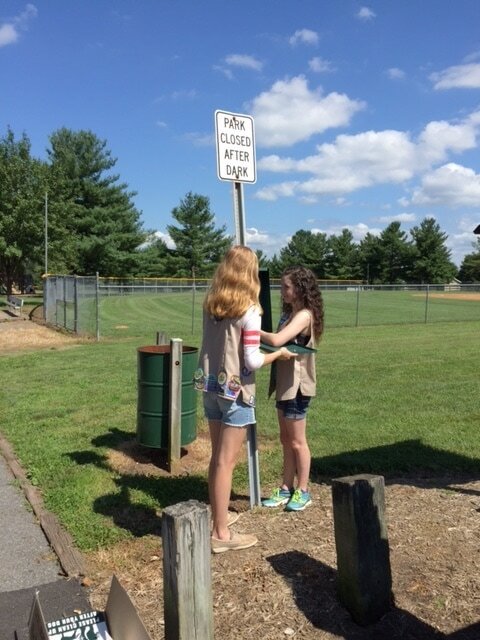 Walking around Whalen Commons on Poolesville Day, Spring Fest or Movie Night, Julia Lyons and Charlotte Vogel in Troop 4300 would often run across dog poop. Researching the problem they discovered a third of all water contamination is caused by dog poop. When it’s not properly disposed of, it can get into the drainage system or leach into underground well water. Dog waste can carry diseases and parasites, so if that gets into the water, it can harm not only aquatic life, but also people or animals who drink from that water. ​To help educate the public about the problem, the scouts set up a booth at "Bark in the Park" festival at Whalen Commons, with a large display board and flyers. ​The girls made dog waste bag holders that attach to a leash. 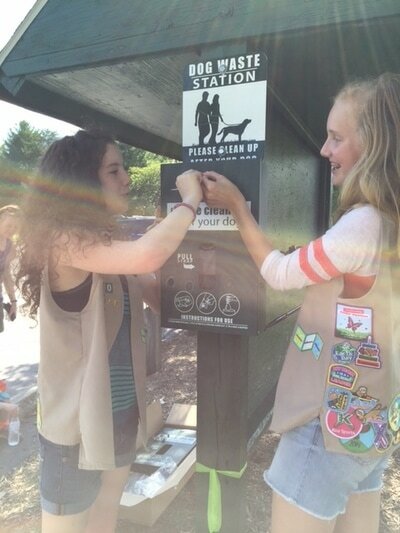 They sold them at their Bark in the Park booth to help raise funds for dog waste stations. 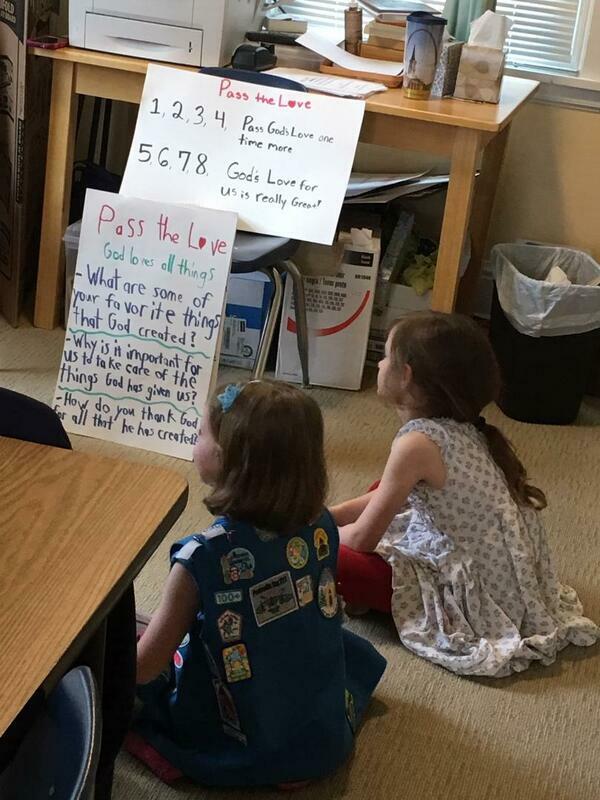 ​Julia and Charlotte created a "Doody Calls" website to draw attention to the problem and spread the word. Julia Lyons (l) and Charlotte Vogel (r) next to one of the pet waste stations at Whalen Commons. ​The finished six foot by nine foot mural made up of 6 panels that is installed on the wall in the school’s main hall. 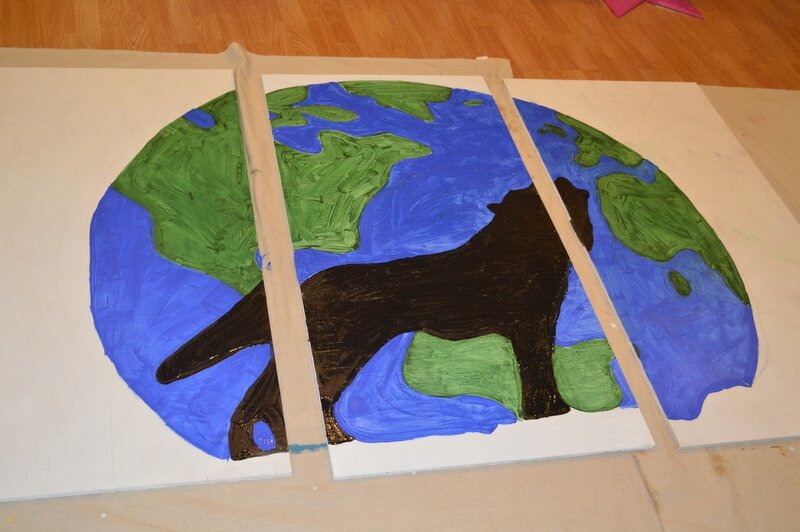 The plaque that is hung next to the mural has a Quick Response (QR) code that will take those with the smartphone application directly to the online Earth Day publication and the article describing the harmful impact discarded bottle caps have on marine life. Anne Morrison, Gretchen Hundertmark and Ellen Beal planned and ran two events where participants made fleece blankets to donate to Warm Up America, an organization that gives hand-made blankets to homeless shelters, teen pregnancy homes, battered woman’s shelters, nursing homes, hospices and a variety of social service agencies. They were able to make their goal of 50 blankets. Dottie Ballmann ran two events where the community made hair bows for children in the hospital. Working to benefit the Betty Ann Krahnke Center, a domestic violence shelter for women and their children, Beth Roberts, Mackenzie Gross and Josephine Caruso-Dipaolo in Troop 430 collected clean, gently used party dresses and sold them to the community. The girls used the proceeds from the sale to buy badly needed supplies for the Center, especially toys and baby supplies for the Kids Room. 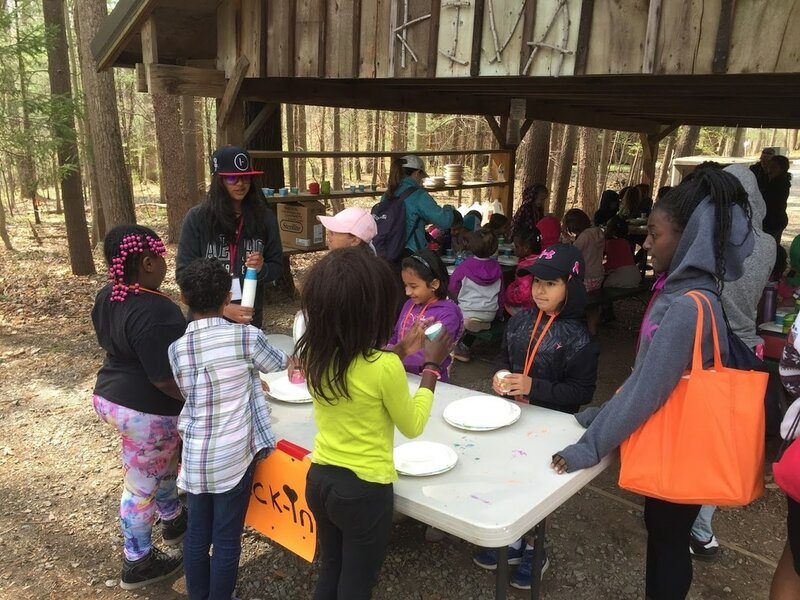 Megan Grubb and Julia Montone in Troop 430 ran the "Grow Strong" program at Camp CHICA for girls in grades K-6. Girls who did the program discovered the elements of a healthy lifestyle, developed critical thinking skills to make healthy life choices and learned to develop healthy relationships with their peers. Using funds raised to purchase materials, Grace Beal and Anne Hundertmark made and delivered 64 lunches to Carroll House. They also developed a Share Your Lunch action plan for interested groups where in addition to a personal lunch, everyone could bring a lunch to share with a transitional housing facility. Using a noise meter she embedded in a mannequin and nicknamed "Lola", Sophia Mense in Troop 430 raised awareness of the effects of noise pollution by testing more than 70 elementary and middle school students to see whether they were listening to their iPods or other MP3 players at an unsafe volume. Sophia also made bookmarks that she distributed at the John Poole Middle School (JPMS) science fair to raise awareness of the issue in the community. Sophia won first place in the Science Fair for the project. 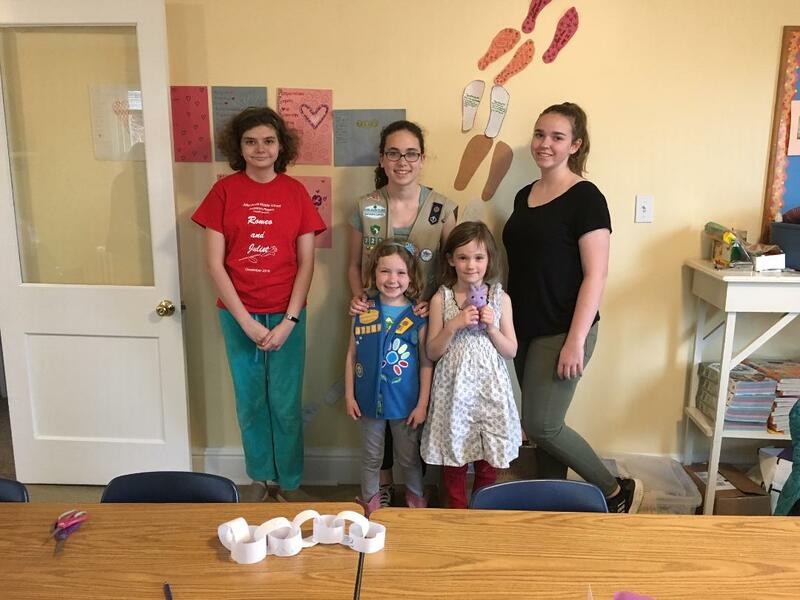 Elizabeth is pictured with Megan Lyons (who helped but she had already earned her Silver before moving to Poolesville) and Amber Catron who earned the Silver project with Liz. They built and made furniture for a Dollhouse that was donated to a charity.